Promotional copy for our books isn’t necessarily something we think about as we’re writing them, but we should, and today Karl Bunker gives us a heads up about what we need to know when it comes time to actually write this copy. I think you’ll find this article helpful. 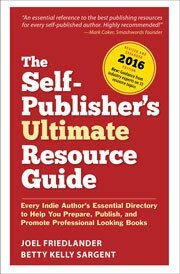 When you’re setting up your book for sale on Amazon or some other outlet, one of the tasks will be to enter a description of the book. This is where you put the promotional copy for your book, and the writing of this small block of text is one that many writers find difficult. After all, in a very few words you’re trying to write down the essence of your entire book, while simultaneously convincing people to buy it. Furthermore, there are some stylistic conventions to this book-description text, and if you stray from those rules your text will look amateurish and thus drive customers away. In this article we’re going to address writing promotional copy for a fiction book; the rules for nonfiction promotional copy are different, although there are some points in common. If your book is going to have a print edition, the description you write for its product page on online venders should also be appropriate for the “jacket copy” that goes on the back cover of the print book. You may want to write different jacket copy simply for the sake of variety, however. So they’ll look at the title, at the thumbnail image of the cover, and if neither of those drives them away, they’ll probably look at the book description next. What can you write that will keep these potential readers from clicking away? How do you speak to these skeptical browsers and let them know that your book is something they’d enjoy? Writing good promotional copy is difficult. But it’s still just a kind of writing, so any writer should be able to learn to do it. It can be compared to learning to write in a new genre, and as such the learning process begins with examining the work of professionals in the field. By reading many examples of good promotional copy for books, you’ll develop an “ear” for this particular brand of writing. Speaking of genre, one of the things you’ll notice while studying promotional copy is that there are both similarities and differences in the copy written for books of varying genres. Just as different genres warrant different sorts of covers, the style of writing used in book descriptions will vary with different types of books. But the similarities between the copy written for divergent sorts of books is as instructive as the differences. Here are links to the Amazon product pages for eight books; take a look at the book descriptions for each of the following. Even though these novels clearly represent very different sorts of reading experience, the similarities in their promotional copy are obvious, and this points up some general rules to keep in mind. and there’s a brief description of the plot, focusing on some highlights of action or emotional intensity. In most of the examples, the final paragraph winds things up with a burst of hyperbolic praise. Those first two points — naming the protagonist and giving a brief summary of the plot — are pretty much universal and should be considered absolute requirements. In six out of eight of our examples, the closing paragraph of the description is a blatant sales-pitch, using superlatives to play up the book’s qualities. In the remaining two books there is simply a continuation of the plot synopsis, but with the final paragraph zooming in on the central source of tension in the story. With most of the books linked to above, the book description starts out with some mention of the author’s achievements or the book’s established success. This may not be an option for you, but if it is, by all means use it. If you can quote a review from a creditable source (that is, where the byline is something better than “Jane Doe, Amazon Reviewer”) or some impressive best-seller ranking, these are the ideal way to lead off your book description. The longest description among our examples is under 300 words and the shortest is under 100. A great many book descriptions from professional publishers are even shorter than this – under 100 words and only a single paragraph. When you’re writing a description of your own book, there’s going to be a natural temptation to go on at some length — to try to squeeze in some mention of all the fine points of your work. But too long of a description looks unprofessional and is likely to be counterproductive. After all, no one is interested in reading a book description for its own sake; people simply want to find out as quickly as possible whether the book they’re considering is one they’ll want to read. If you’re writing jacket copy for the back cover of a print book, you can get away with slightly longer text, but the general rule of brevity still applies. Be sure to name the protagonist; this draws readers in, giving them a feeling of connection with the book. Occasionally you’ll see one or two other characters named, but usually your copy will be too short for that to be a good idea. Give a general outline of the plot, but don’t waste any words on a “book report” style description. You want to let readers know what sort of a book it is, but you want to tease them more than inform them. For this reason your plot synopsis should go only as far as the early chapters of the novel, setting the scene and describing the central conflict. The final paragraph can be either a straight-up sales pitch or a continuation of the plot description that emphasizes the key point of tension in the book. Quote reviews or mention other success, if you can. Moving on to the differences in the promotional copy for our sample books, we can see that the language of the text has been crafted for each book’s expected audience. The text for the literary novels is more sedate than for the more commercial fiction, so while the hero of The Da Vinci Code goes on a “breathless race through Paris, London, and beyond,” the protagonist in The Goldfinch “moves silkily” through drawing rooms and antique stores. In the literary novels it’s the writing skill of the authors that receives attention. Action and thrills are naturally the selling points for the thrillers. Horror and suspense are emphasized with the Stephen King books. In the romantic The Fault in Our Stars the emotional content is stressed. The Focus of Your Description; What Are You Selling? This brings us to a crucial point: The purpose of your promotional copy is to sell your book, but exactly what aspect of the book should you be selling? What will your ideal reader most enjoy and appreciate about your book? Your book belongs to some genre, so you want to sell it by showing how it excels at whatever it is that readers love about that genre. If your book is a science fiction space opera, you should probably say that the space-battles are epic in scale and fiercely intense; while for a romance novel you might describe your characters’ emotions as deep, piercing, and overwhelming. Adjectives are your friend in writing promotional copy, and you mustn’t be shy about a little bit of hyperbole. Readers expect book descriptions to be at least a little over-stated, so don’t damn your book with faint praise. Even in the dignified and demure genre of literary fiction, we see terms like “thrilling,” “fearless,” “brilliant,” and “mesmerizing.” Fire up your word processor’s thesaurus and have some fun! And that’s about it. Promotional copy is brief, so there’s not a lot of analysis that can be done with it. Again, probably your key tool in learning to write good copy is to study the work of others; to develop your writer’s “ear” for this sort of writing and allow yourself time to learn this new skill. Can you think of any other considerations when writing promotional copy for a book? If so, let us know in the comments. Karl Bunker runs an eBook-formatting business at www.PrecisionEbooks.com. As a reader, self-publishing author, and eBook formatter he has been involved with eBooks and the world of self-publishing since long before the days of the first Kindle. Thanks for all the great advice. I shared your article with my LinkedIn Group (Professional Writers & Editors’ Network), citing you fully. Thanks for an informative article, Karl. Timing is everything, as they say. I will certainly check out these books as I begin my book description in a few weeks. Much appreciated. As someone who just epublished his debut novel on Amazon, this article is very relevant. Since my novel has several main characters and the story weaves between each one, I find it hard to come up with a one-paragraph summery. I will definitely try to put these suggestions to good use, especially the one about adding the sales pitch at the end. I hadn’t thought to do that. Thanks. Great article and suggestions. I’m a fan of short descriptions and dangling suspense. I think the two things you have to accomplish with promotional writing are 1. Put a question in the readers mind, one they feel compelled to have answered, and 2. Present your material in a professional way that boosts their confidence in the quality of the work. Beyond that, it’s all icing on the cake. Great article; great advice. As you mentioned in the intro, these promotional copy ideas are pertinent to fiction books. You stated that the rules for nonfiction promotional copy are different, although there are some points in common. May I ask what the guidelines would be for nonfiction? I have written considerably longer promo copy for my nonfiction (investing) book. Based upon what I’ve read here, I’m considering condensing it; I’d like to hear your comments on this. I believe that greater length in promotional copy isn’s as “risky” with nonfiction as it is with fiction. With fiction, there are at least two pitfalls: First, a long description in fiction may come off as egotistical; like a boor at a party, you can end up sounding like you’re convinced that everyone in the world would love to hear about every tiniest detail of your novel’s plot and characters. Second, in describing a novel you have to be careful not to give too much away; you want to whet your reader’s curiosity, but leave them feeling that the whole journey of discovery is still ahead of them — if they buy the book. In nonfiction, the reader’s objective is usually to learn something; quite a different goal from enjoying the artistry and entertainment value of a novel. So going on at greater length in the description isn’t so risky. Just keep in mind that potential buyers may stop reading your description at any moment, so be sure to get out the important selling points about the book early on, in the first paragraph or two. And it is possible for a nonfiction book description to be too long and detailed. I’ve often had the experience of reading a long review of some nonfiction book, and while the review was full of praise and the subject of the book interested me, the review covered the subject in enough detail so that I felt my appetite for that topic was pretty well satisfied by the review alone, and I had no desire to read the book. You certainly don’t want to fall into that trap with your book description. Wow, the timing on this article couldn’t be better. Thank you so much for making writing promo copy so easy to understand. I’ve bookmarked this post for future reference. This is the best article I’ve ever read on this topic. Thank you so much, Karl. I’m going to share this with my networks so as many people as possible benefit from your excellent advice. Thanks for the compliment Sandra! I’m glad you found the article useful. Fantastic article. Perfectly timed. Thank you. Who would have thought so much strategy went into back cover copy? Thanks for letting me know that, Karl. I don’t do any uploading and the formatter I work with was still asking for that the ultra short versions. It’s not a bad idea to have one of those anyway, as a sort of elevator pitch or for blog interviews and such. And yes, the promo copy does change according to genre, but using goal/conflict is a good basic structure for most genre fiction. You make some good points, Kat. I particularly agree about naming the hero/love-interest in romance novels. In general, not all fiction is going to fit into a protagonist+goal+conflict description, but that’s a good structure to keep in mind when it works. A note about Smashwords: Thankfully, you’re no longer confined to a 400-character description. For a couple of years now they’ve allowed an optional long description of up to 4,000 characters. A good thing, too — it can be quite a brain-twister to come up with a description and sales-pitch that fits into 400 characters! The optional long description allowed by Smashwords only appears on the Smashwords site on the book’s product page there. The short description is what Smashwords readers will see when they browse the catalog. And many of the Smashwords partners – B&N, Apple, etc. – use only the short description. I create both a short description and a long description for each of my books on Smashwords. And I treat the short description as though it may be the only one seen by a reader – that is, I make it as compelling as possible. I create a long description, because when I browse the Smashwords site as a reader, when I see a book that interests me – the short description captures my attention – I’m always looking for more information in the long description. I’m disappointed (and usually click away), if the “long” description is just a repeat of the short. J.M., Barnes & Noble and the Apple iBooks store both use the long description they receive from Smashwords, as does the Kobo book store. The short description is still required by Smashwords, but I’m not sure which outlets use it, or if any outlets use it exclusively. One interesting point about the Smashwords short description: It goes in to the “metadata” of the eBook itself, so you’ll see it, for example, if you use Calibre and select the book in the library view. There’s some great advice here. Being able to write promo copy (a.k.a. blurb/cover copy/product description) is a skill every author should try to develop, just as they learn to write a synopsis, query letter, or elevator pitch. That said, for those in a hurry or frustrated by trying to learn it, I have a small business doing this for indie authors, and I’m happy to give away free advice. Then wrap it up with a reason the two have to overcome their conflicts to meet a mutual goal. “But when Nell suspects Snidely is up to illegal activities in the forest, she has no choice but to turn to the law for help. As they race to stop Snidley, they discover more than the forest is in danger: their hearts are as well. Then the product description, then author praise, and again, if it’s a series, I’d probably list the other books in the series, in order, to make it easy for the reader to find them. Obviously different genres have different “triggers” but mostly it’s protag, goal, conflict. Great tips. I’m so glad you pointed out the “Will he do it?” question along with a better alternative. It’s something I’ve seen a lot in promo copy. Thanks Karl. I agree it’s hard for the author who knows every twist and turn of the plot to boil it down and to entice without giving away spoilers. What I found most helpful was reading many online descriptions and jacket copy from books in my genre. This is important and excellent but most of the advice and all of linked examples are for fiction. Nonfiction — maybe with no protagonist, plot, action or emotional intensity — need sales pitches, too. I include a list of chapters in my nonfiction descriptions. Also, on Amazon the “From the back cover” section can include blurbs so they don’t have to be squeezed into the description. Even an ebook with no real back cover can be given imaginary back cover contents on Amazon. “From the inside flap” is promo space, too. Take advantage of all the space that booksellers provide. It’s free and can be very useful.